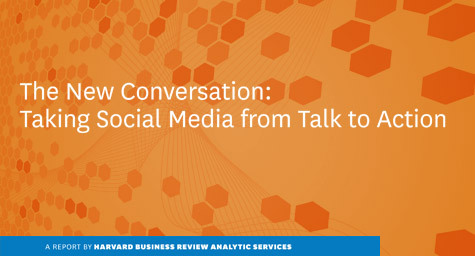 Harvard Business Review recently conducted a survey of 2,100 companies concerning their use of social media which revealed that nearly two-thirds of respondents are either currently using social media channels or have social media plans underway. 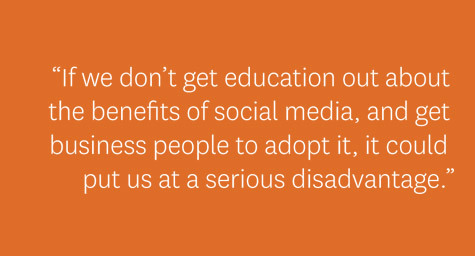 Still, many companies are struggling to understand social media and unsure of how to use it effectively. While only 12% of companies labeled themselves as “effective users” who know how to leverage the benefits of social media, this group revealed their best practices which could serve as a roadmap for all brands to follow in order to reach consumers, learn about customers, research new products and maximize the many opportunities that social media presents. Only a small percentage of survey respondents identified themselves as “effective users” of social media, but their foresight to tap into this limitless arena has allowed them to establish a powerful presence far ahead of their peers. While others are just beginning to experiment or still completely confounded by social media, 63% of effective users have already developed and implemented a social media strategy. Effective users were also far more likely to use four or more social media channels and much more likely to be doing more multi-media sharing, as well as participating in discussion forums, blogs and review sites. In addition, 44% of effective users have a dedicated social media budget compared to only 20% of companies who are still struggling to set up a social media strategy. According to the survey, many companies’ social media efforts concentrate on making noise rather than interacting with customers or monitoring conversations about their brand on the Internet. Nearly two-thirds of the companies surveyed did not know where their most important customers were talking about them on the Web. Yet effective users were far more likely to know where customers were discussing them on the Web and use that data to prioritize their social media activities. Consider that only one-quarter of executives surveyed could target where their most important customer segments discussed their brands and services, while 70% of effective users were able to monitor their Web mentions regularly. 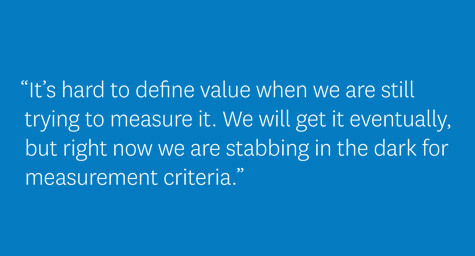 The use of metrics and analytic tools also distinguishes effective users. In fact, 45% of effective users reported they conduct customer sentiment analysis on feedback collected through social media channels. Effective users were also far more likely than others to integrate their social media monitoring strategies with other marketing solutions such as email marketing and campaign management. Many companies could stand to benefit from the social media strides of these effective users, especially since about one-third of those now using social media said they were not currently measuring its effectiveness, with 60% of this group classifying themselves as ineffective users. Plus, only half said they were even aware of the term “social media analytics,” which are the tools used for measuring, analyzing and interpreting the results of interactions between brands and consumers across digital channels. 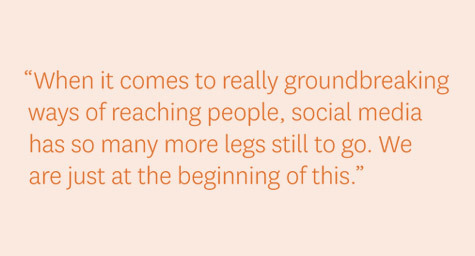 Fortunately, the use of social media will clearly expand in the coming years. Two-thirds of the companies surveyed predicted that their use of social media would grow significantly over the next few years, as the awareness of the power of social media has grown in their companies. For organizations that already have a budget for social media, spending was projected to increase by 30% or more over the year, even as dollars for marketing and advertising have dropped during the recession. To fully grasp the phenomenon of social media, companies must shift their thinking about marketing and measures of success. Today, the most effective users of social media are experimenting with multiple channels, as well as developing new metrics to measure their impact and using innovative tools to understand how to initiate conversations with customers. In the future, companies that are able to generate and monitor relationships with customers will be deemed the most effective users of social media that all others will follow.